Why Bitcoin can Change Your Life? Here are the six reasons. If you are reading this article, the chances are you heard of Bitcoin at least once. 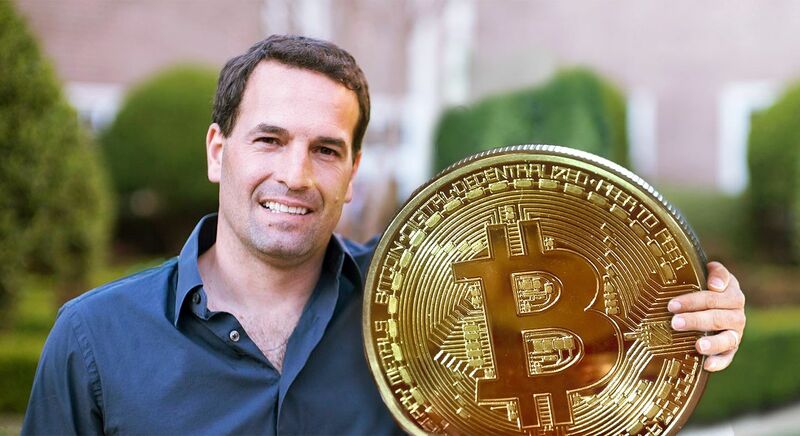 Whether you have read about wild success stories of people making millions of dollars or viral horror stories of people losing millions of dollars, it is clear that Bitcoin has been creeping into the limelight over the past few years. If you purchased Bitcoin over the past 9 years at any time, other than those 4-5 months, you would have gained huge profits! Believe it or not, we are still in the early adoption phase, but not for long. As Bitcoin boomed over the past year, major Bitcoin News outlets from CNBC to Bloomberg have created their own business branches to commentate exclusively on cryptocurrency. These are major companies who do not take such actions on a whim. Bitcoin and Cryptocurrencies as a whole are here to stay. But what is Bitcoin, really? Putting all technical jargon aside, Bitcoin is an opportunity to make money. It should be viewed like any other investment asset. If you are reading this article and have yet to take any action, I can confidently tell you that you are missing out. The crazy ROI potential for Bitcoin will not be here forever. Many skeptics believe that Bitcoin investors are buying into the hype, when in reality, there are logical reasons behind the revolution that they fail to see. Here are 6 logical reasons explaining all the hype, and ultimately why you should take a more serious look into Bitcoin. At the time of this writing, we are in the middle of what we call a bear market. This means the entire cryptocurrency market has suffered a major fall, retracing down 70% from its all-time high. Bitcoin, the king of all cryptocurrencies, has suffered a loss of 67%. Some cryptocurrencies even had their prices decrease as much as 96%! That’s crazy and unseen. However, zooming out to a big picture, it is clear that Bitcoin rises year after year. For example, if you bought Bitcoin anywhere from 2009 to mid-2017, you would currently be up 500% - 5,000% or more! If you bought earlier, your profits may be in the thousands or tens of thousands of percents. The only time you would be down, is if you bought in the window from around November 2017 to March 2018, when Bitcoin rose to $20,000. Read that again, if you purchased Bitcoin over the past 9 years at any time, other than those 4-5 months, you would have gained huge profits! So even with the recent downtrend, why should you still optimistic about investing in cryptocurrencies? One of the reasons is that for new investors looking to make an entry, this downtrend has created a solid foundation for future growth and profits. History shows that Bitcoin comes back stronger after it dips. 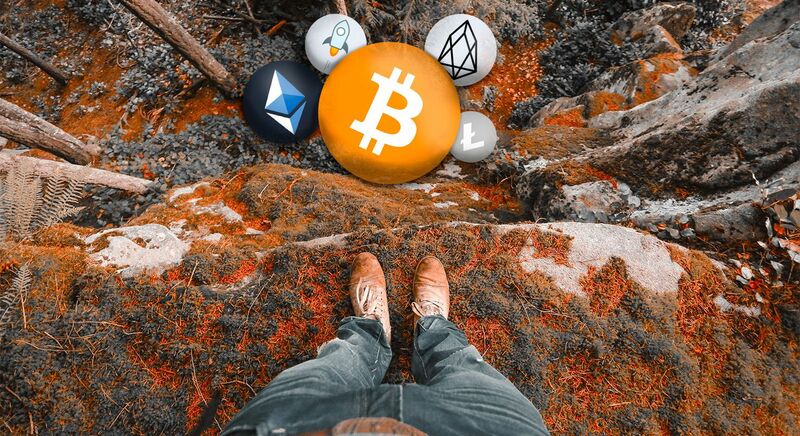 That’s also the case for the other cryptocurrencies, called “altcoins.” Despite this recent market decline, altcoins provided considerable returns to its investors far beyond most other investment channels that exist. To illustrate, we took five of the most popular stocks over the past five years and compared them to Bitcoin. Even the total sum of their ROI’s was no match for Bitcoin. Banking the unbanked. Being unbanked is a major setback, and guess what - there are over two billion people unbanked in the world today. The main reasons behind unbanked countries are corruption, politics, and poverty. Many of these unbanked societies do not let their people bank internationally and offer limited banking options. Thanks to cryptocurrencies like Bitcoin, anyone with access to the internet can avoid this oppression by taking part in this decentralized revolution. Cryptocurrencies by nature are decentralized, meaning that no authority can restrict it and anyone can access it. 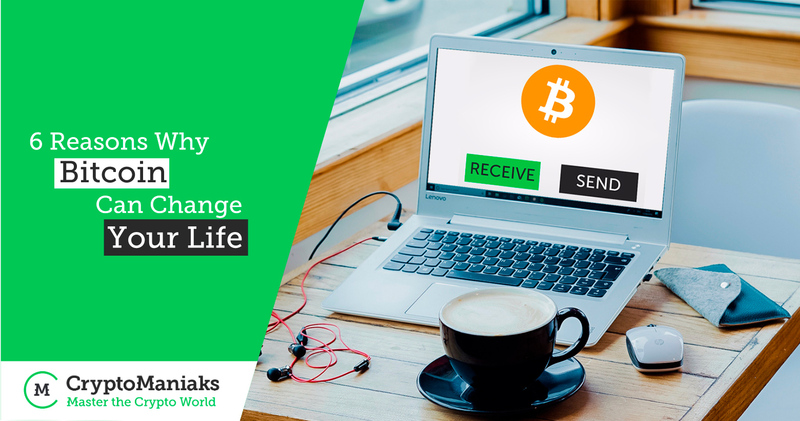 The result is freedom for anyone to send and receive money (in this case, Bitcoin) wherever and whenever they want. Taking things a step further, there are also decentralized applications which allow users to take part in loaning money, receiving loans, and interacting with the outside world. Unlike government-backed currencies, cryptocurrency is much more difficult to confiscate. It puts financial power back into the hands of the people. One recent example is the current financial crisis in Venezuela. With value of the national currency deflating, people are trying to escape with whatever possessions and wealth they have. Unfortunately, it has been reported that the government confiscated any valuable goods they can in the process, such as gold and silver. If everyone had crypto, then the government would have no means to confiscate it. Additionally, the people of Venezuela would be able to send their digital assets to friends and family in a global, digital, and private fashion. Some cryptocurrencies are designed to be anonymous and private. It is these two factors that put power back into the people’s hands. Google is currently working on its own blockchain to improve its cloud service offerings. Amazon has recently launched its service (2) that will allow businesses to launch their own blockchain with little effort. Companies such as Expedia, Overstock, and Shopify have started to accept cryptocurrency payments. If you pay attention, you will notice that more and more businesses are diving into the cryptocurrency industry and using its technology. Don’t be discouraged, there are still great opportunities ahead. The entire space is expanding rapidly, and you will regret it all your life if you miss out. The crypto space is a mix of people from all different backgrounds in all stages of life. Cryptocurrency is a new form of finance based on blockchain, a new technology. Hence, cryptocurrency is classified to be part of the fintech industry, which generally attracts entrepreneurs, financial experts, venture capital investors, researchers, engineers, and developers. Bitcoin symbolizes freedom; thus, lots of people with strong political and humanitarian beliefs are in the space. Compared to investing in stocks, cryptocurrencies are easily accessible to anyone who wishes to invest. There are virtually no barriers to entry. When investing in stocks, most brokerage accounts require minimums of $500+ to start, in addition to monthly fees (~$15/mo). Sometimes monthly fees can be avoided, but you need to maintain a higher balance and a certain level of activity. On the other hand, cryptocurrency exchanges have negligible trading fees and zero monthly maintenance fees. You can invest as much or little as you would like and trade as frequently as you would like with no consequence. Miners. Mining serves as a new phenomenon in the technology world. Miners are those who contribute to maintaining the blockchain using their computer’s power. Most of them started mining to earn extra money in their basement when they were students. Mining is now a huge business that continues to flourish. So, despite the existing middle-aged fintech population, the cryptocurrency space is overall very young, intelligent, and forward thinking. This is why you will often see people make fun of the cryptocurrency industry. More often than not, these jokes are out of ignorance. As a result of having a younger audience, the crypto industry resonates a youthful vibe. Through new slang and entertainment, the community has a good sense of humor. This piece of rap music demonstrates the demographic pretty well. Some people became extremely wealthy after they invested some money into Bitcoin and cryptocurrencies. Since there is no barrier of entry, people of all ages, even college students hit it big. Why can’t you? Still, I will be real with you; the best opportunities are behind us. For example, back in 2010, a Bitcoin holder famously purchased two pizzas for 10,000 Bitcoin. This demonstrates the massive spike in price that took place since 2010. Imagine how well 2010 investors did! As mentioned previously, the cryptocurrency market recently experienced one of its most significant corrections ever, and yet, Bitcoin is still worth ~$6500. This is exactly when new, inexperienced investors are afraid to buy in, while those who understand the markets are prepared to surf the next wave. While it is virtually impossible to buy the very bottom of every market cycle, it is reasonable to assume that major market corrections make for good buying opportunities. According to our research, it seems we are nearing the end of the decline and ready to buy back in. So, right now is the right time! If you are reading this article and the price is already over $20,000, then you have probably missed out. Cryptocurrency will continue to generate a lot of traction and will likely create new millionaires in the coming years. It’s a crazy space. When you’re in, you never want to be out. It occupies your mind throughout both day and night. If you’re interested in investing in cryptocurrencies, but feel that it is too technical or difficult, please do not worry. It is super easy if you understand the basics. As with any new industry, newbies are often exposed to scams and many other ‘joys’. 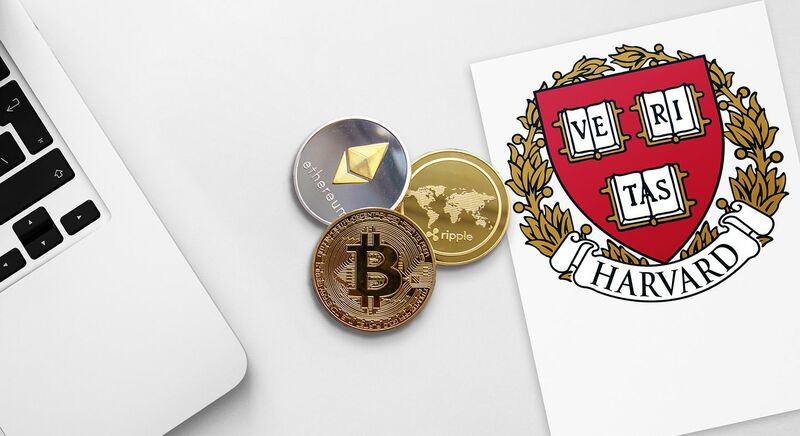 If you want to start on the right foot, we have created the perfect course to start in the cryptocurrency space. How you can purchase any cryptocurrency with your fiat (such as USD, Euro, and other national currencies). How to secure your cryptocurrencies and maintain them over time. How much you should invest, and in which cryptocurrencies. In summary, we provide you with practical information and incredible piece of mind as our course was created by several experts hand picked by our founding team. Since we have no doubt that you will absolutely love our course, we are offering a 100% money back guarantee, no questions asked. In the course, you will also get the chance to earn $10 worth of Bitcoin to get started. So quit waiting around and get started today. CEO of CryptoManiaks, Entrepreneur, Cryptocurrency HODLer by heart. I founded CryptoManiaks because I believe cryptocurrencies will play an important role. I'm here to share the top expert knowledge with you! Thanks for the article, it was a pleasant read.